Personally, I found it a little reductive. I often find that the descriptions my friends come up with for beers differ, sometimes greatly. None of us has had any training, though we agree it is an area we would like to explore more and gain more expertise. However we nearly always agree on what we believe to be a good beer or for that matter a bad beer. Mark, do you have any suggestions as to where we could advance our ability to define/describe accurately our thoughts? Or is it down to one's individual palate? THG - Necessarily reductive as it's a massive topic!! I just wanted to have a bit of fun with it. Ben - Good question. I think it's down to just drinking lots of different beers. There's definitely something to be said for eating lots of different things as well so you know the difference between honey and treacle or passion fruit and lime, for example. 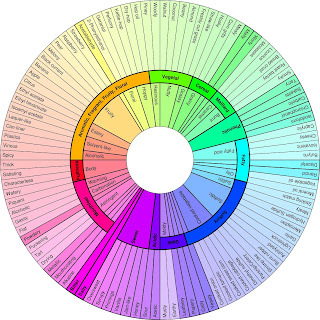 Plus, individuals taste things very differently and some people are more perceptive to certain flavours rather than others - some find smoky flavours overpowering while others are very sensitive to buttery flavours (some in a good way, others a bad way!). The best thing: just drink lots and go with your gut instinct, even if it does sound a little odd! Really interesting post Mark, as you say you cannot reduce the constituent parts of a beer’s flavour and then rebuild them on a piece of toast and hope for the same experience, it would be like putting William Burroughs, Tom Wolfe and Kingsley Amis in a big pot and hoping that Martin Amis comes out. However, I like the idea that when one is tasting a beer, especially with people for whom beer is just, well, beer, it’s great to pinpoint flavour and aroma notes such as grapefruit, peach, whatever — the idea, whether you are writing about beer for a mass audience or talking to friends down the local, is to communicate what they find in a beer’s nose and palate. And hopefully make them think about it more. 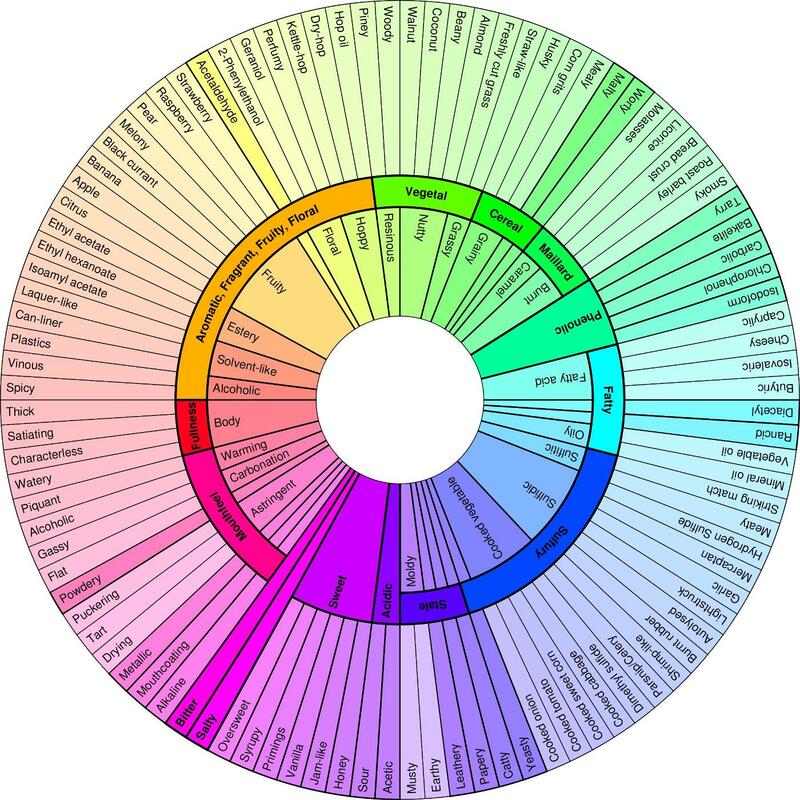 But... when one writes in one's tasting notes "orange" I assume one doesn't actually mean that every flavour note from orange is contained within the beer but rather than a few flavour notes from oranges are present there, sufficient to bring to mind oranges. A word of caution. It's beer and it takes a subtle palate to recognise the hints and nuances. A LOT of people won't get any of them. To them its just an odd beer with funny tastes. For others it does give an idea of the taste to be expected. Kavey has the right of it in that generally it will "bring to mind" some hints of x or y.
I'm guessing for those that write overly descriptive tasting notes, that they rarely make this point clear. Maybe it is assumed? It shouldn't be.